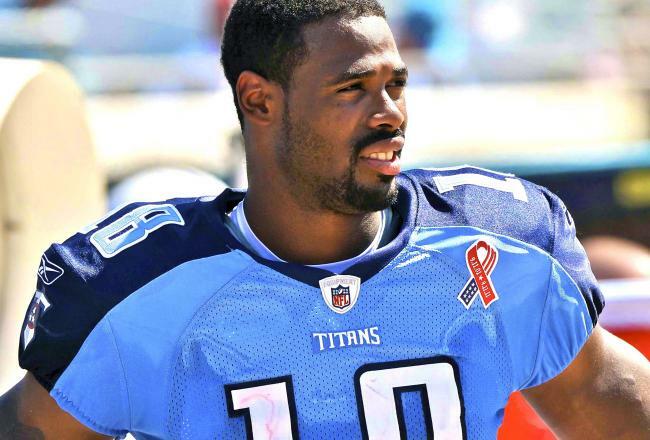 Things appear to be getting more and more interesting for Titans WR Kenny Britt. A spokesman for Britt says the receiver “has made himself available to cooperate” with police in the investigation of a stabbing incident involving an acquaintance but a spokesman for the Jersey City police disagrees. Early Sunday, Britt drove a man with non-life-threatening stab wounds to his back to the Jersey City Medical Center. Police at first believed the injured man was Britt’s brother, though they later confirmed the man as a close personal friend of Britt. In a statement released to The Jersey Journal, Britt’s spokesman said Britt was leaving a dinner cooked by his friends’ parents when he found his friend injured outside. An NFL spokesman told The Tennessean on Monday they will look into Britt’s latest incident.